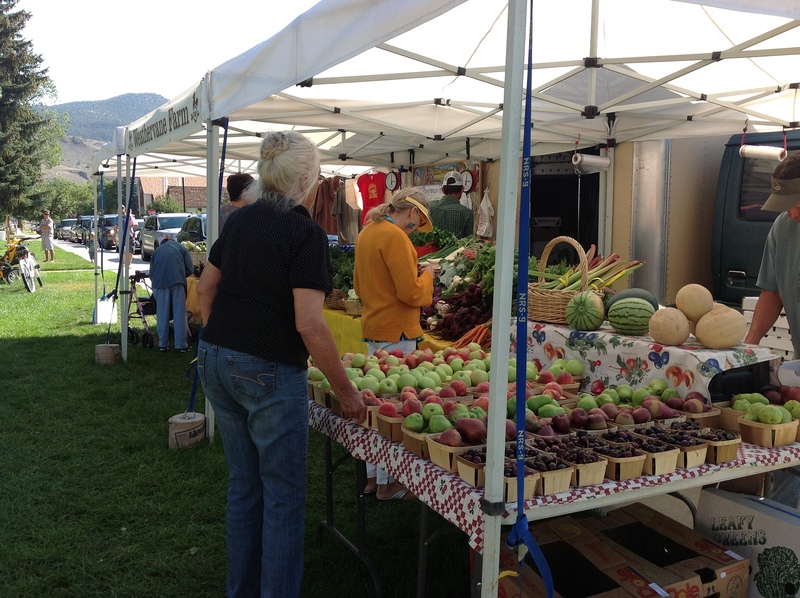 Another beautiful day in my little valley to attend my local farmers market to collect some goodies to fill in with my garden items. 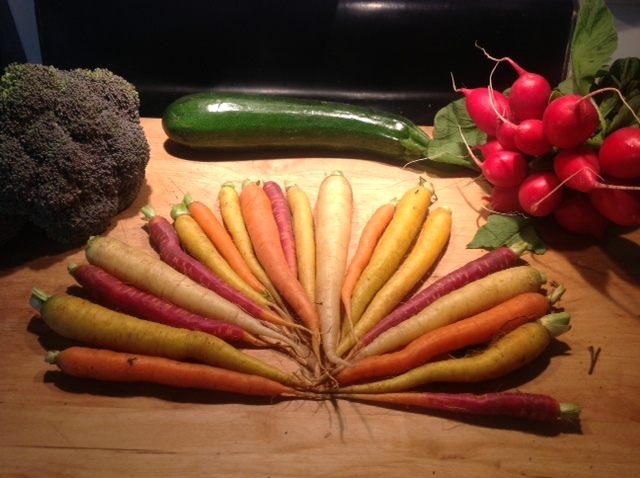 Here’s a photo of my favorite farm stand and my veggies getting ready to be washed! Here’s a great idea for an easy and filling salad. I tossed the arugula into a bowl, chopped up a whole avocado, put in a little olive oil and lemon. Mixed it all around with some sea salt and pepper until it because a chunky dressing and topped it off with some raw pumpkin seeds. Yummy! I also had to run to the health food store. I rode my bike and it was hot out, so decided to pick up a kombucha, cherry with chia seeds. It was so refreshing and the chia seeds filled me up and kept me going until dinner. Great option. It was the Synergy Brand and a good one to add to your list for the week. I love my local farmers at Weathervane Farms. (check out their site and read their story) The produce all this amazing produce on just over an acre of land and they do it 7500 feet, simply amazing! The had just purchased some more acreage and are planting fruit tree’s and other winter squash, which they hadn’t been able to do before. Even with the heat and I am feeling energetic and clearer in my thinking not as foggy. My sinuses keep clearing up, since I eliminated all dairy even goat, which is usually ok for me. Now I am in a groove and don’t allow myself to get too hungry. It is interesting without the grains to fill you up how much more you can eat and you do have eat more times during the day.